Portable fuel tank with capacity of 12 liters. Dimensions: 410 x 260 x 195 mm. Portable fuel tank with capacity of 22 liters. Fitted with gauge. Dimensions: 460 x 305 x 265 mm. Portable fuel tank with capacity of 30 liters. Fitted with gauge. 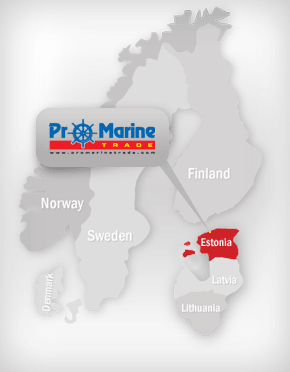 Dimensions: 510 x 360 x 270 mm. Fuel tank is made of Eltex. Fitted with drain plug, hose adaptor and vent plug. Includes level indicator, reserve and gas expansion chamber. Size: 22 l. Dimensions: 50 x 33 x 23 mm. CE certification. Fuel tank is made of Eltex. Fitted with drain plug, hose adaptor and vent plug. Includes reserve and gas expansion chamber. Size: 12 l. Dimensions: 41 x 26 x 19 mm. CE certification. Fuel tank is made of Eltex. Fitted with drain plug, hose adaptor and vent plug. Includes reserve and gas expansion chamber. Size: 22 l. Dimensions: 50 x 33 x 23 mm. CE certification. 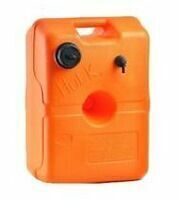 Orange Eltex fuel tank includes main unit system, plug, vent, drain plug. Size: 24 l. Dimensions: 46 x 34 x 23 cm. CE certification. Orange Eltex fuel tank includes main unit system, plug, vent, drain plug. Size: 29 l. Dimensions: 51 x 36 x 23 cm. CE certification. 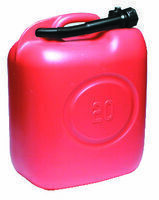 Fuel jerrycan Eltex heavy, don`t ooze and don`t get deformed. Include articulated pouring spout. Size: 10 litres. Fuel jerrycan Eltex heavy, don`t ooze and don`t get deformed. Include articulated pouring spout. Size: 20 litres, weight: 1,1 kg. Orange, Eltex fuel tank includes main unit system, plug, vent, drain plug. Dimensions: 35 x 65 x 33 cm, Size: 55 litres. CE certification. Orange, Eltex fuel tank includes main unit system, plug, vent, drain plug. Dimensions: 35 x 80 x 33 cm, Size: 70 litres. CE certification. Orange, Eltex fuel tank includes main unit system, plug, vent, drain plug. Dimensions: 40 x 80 x 31 cm, Size: 70 litres. CE certification. Fuel tank Diablo. Dimensions: 500 x 360 x 230 mm. 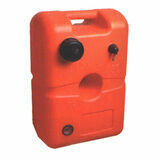 Capacity: 37 l.
Blue, crosslinked polyethylene fuel tank for petrol or gasoil. CE certified. Includes brass tapping hose and shock-absorbing floating protection. Dimensions: 660 x 535 x 245 (+ 60 mm) mm. Size: 63 l.
Blue, crosslinked polyethylene fuel tank for petrol or gasoil. CE certified. Includes brass tapping hose and shock-absorbing floating protection. Dimensions: 1075 x 535 x 225 mm. Size: 95 l.
Petrol jerrycan is made of dark green painted metal sheet. Clip-on cap. Size: 10 litres. Mirror polished AISI 316 stainless steel fuel deck plug. Tip-over opening system. Thin profile with only 3,5 mm thickness. Neck diameter: 38 mm. Nylon/fiberglass white fuel plug. Neck diameter: 50 mm, Neck length: 65 mm, Flange diameter: 88 mm. Nylon/fiberglass white fuel plug. Neck diameter: 38 mm, Neck length: 65 mm, Flange diameter: 88 mm. Nylon/fiberglass white water plug. Neck diameter: 38 mm, Neck length: 65 mm, Flange diameter: 88 mm. Mirror polished stainless steel deck plug for fuel. Flush mounting, fitted with opening handle, deck plug opening handle and fitted with safety small chain. Neck diameter: 38 mm, Flange diameter: 80 mm. Mirror polished stainless steel deck plug for water. Flush mounting, fitted with opening handle, deck plug opening handle and fitted with safety small chain. Neck diameter: 38 mm, Flange diameter: 80 mm. Mirror polished AISI 316 stainless steel water deck plug. Flush-mount plug has invisible screws hidden on the plug's rim. Neck diameter: 38 mm. Mirror polished AISI 316 stainless steel fuel deck plug. Flush-mount plug has invisible screws hidden on the plug's rim. Neck diameter: 38 mm. Mirror polished AISI 316 stainless steel fuel deck plug. Flush-mount plug has invisible screws hidden on the plug's rim. Neck diameter: 50 mm. Mirror polished AISI 316 stainless steel waste water deck plug. Flush-mount plug has invisible screws hidden on the plug's rim. Neck diameter: 50 mm. Mirror polished AISI 316 stainless steel fuel deck plug. Opened with winch or hex keys. Neck diameter: 50 mm. Nylon black water plug. Neck diameter: 38 mm.